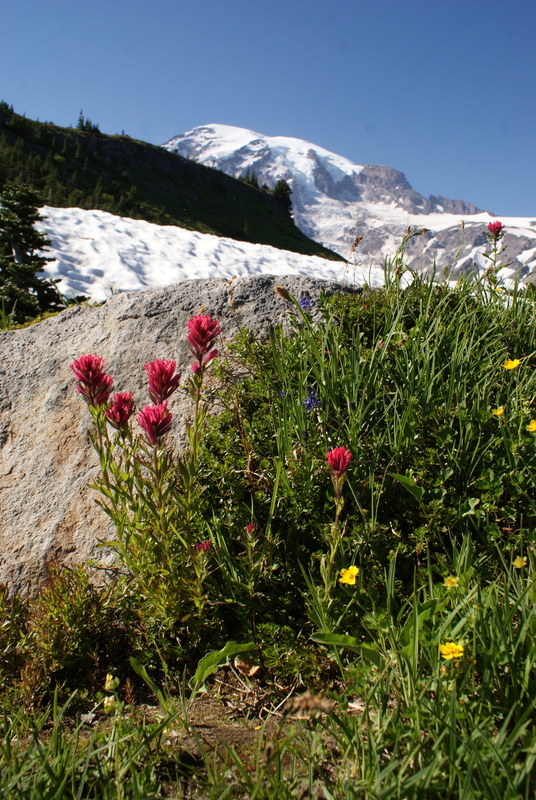 We had a pretty spectacular year of hiking and other nature outings this year. I was going through my photos last month to make scrapbooks for the grandparents, and enjoyed reliving the memories. With the New Year passing last night, I thought I’d tally up the trips we took. I made a spreadsheet of all our trips (I went through my photos to help me make a list) and included distances and elevation gains. Here are the numbers: We hiked or walked on 48 distinct trips. Most of them were small nature hikes of a mile or two. We hiked a total of 104 miles (plus a bit more for 2 trips I don’t have data for) and logged over 14,000 feet of elevation gain. I had to guesstimate the elevation gain on many of our trips, but I tried to under-estimate so I didn’t inflate our numbers. Most of the hikes were the three of us together; about 10-15 of these miles were me without them. Daddy joined us on more trips this year than he had in the past, and that was really nice. 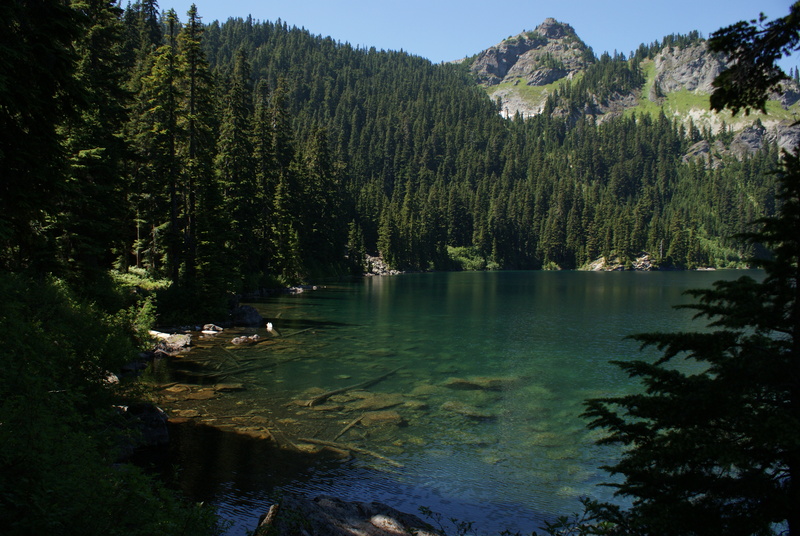 Our longest hike was Talapus and Olallie Lakes at 6.2 miles. The most elevation gain we did was to the junction of the Longs Pass and Ingalls Pass trails, 1400 feet. 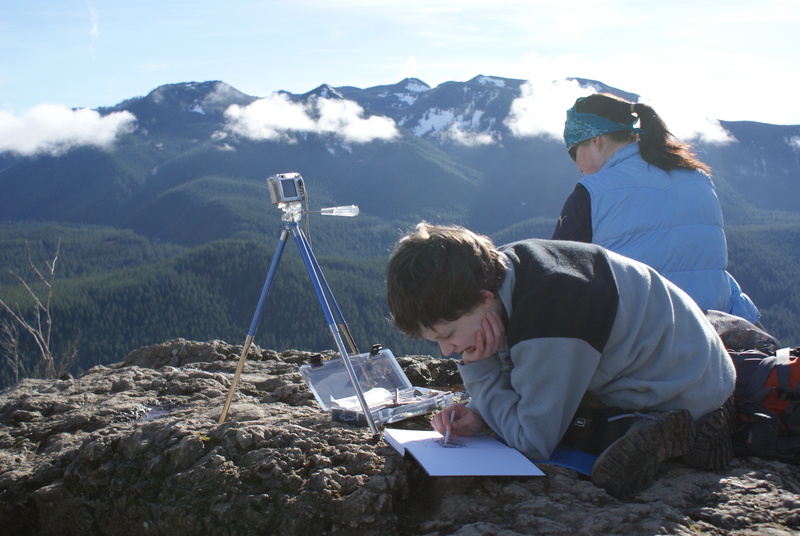 I asked the kids what their top favorite hikes of the year were, and here is what they said! 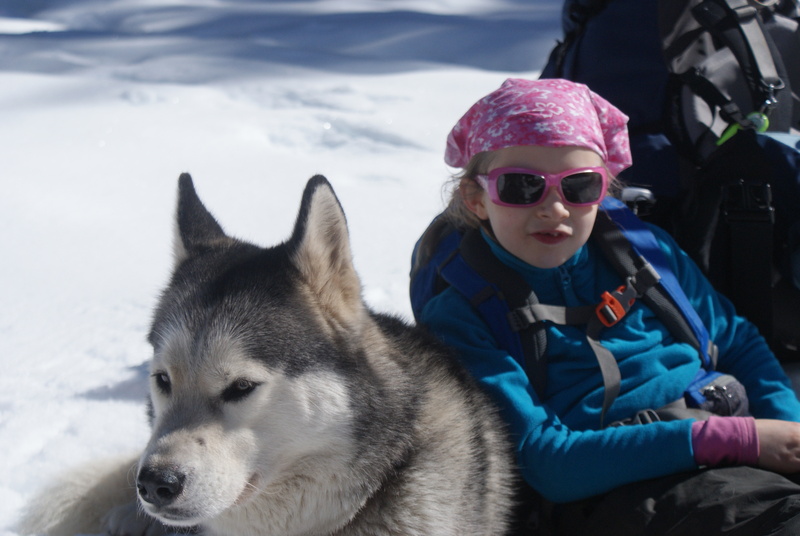 Annika enjoyed our snowshoe trip up the Smithbrook Road. She liked being able to see the camp robber birds up close, the sparkly snow, our dog companions, and sledding at the end. 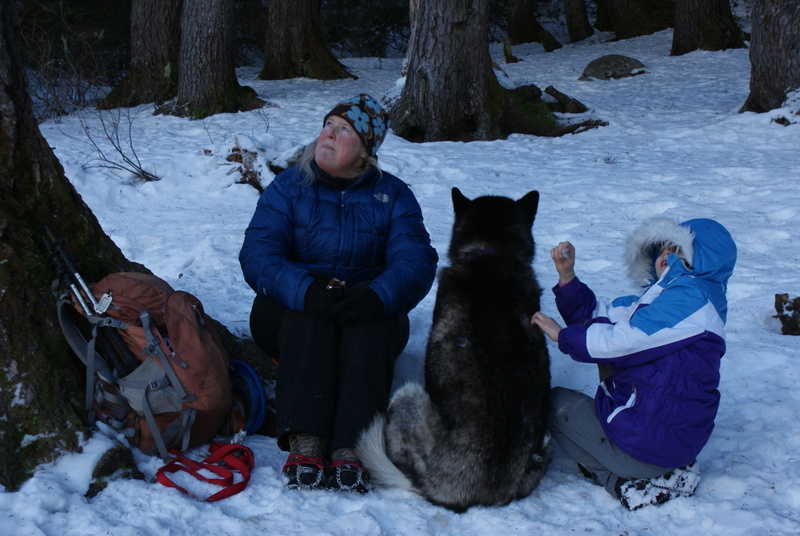 She also enjoyed our second snowshoe trip up the Gold Creek valley; she said the snow was pretty and she was happy that Tara (the dog) let her sit next to her. 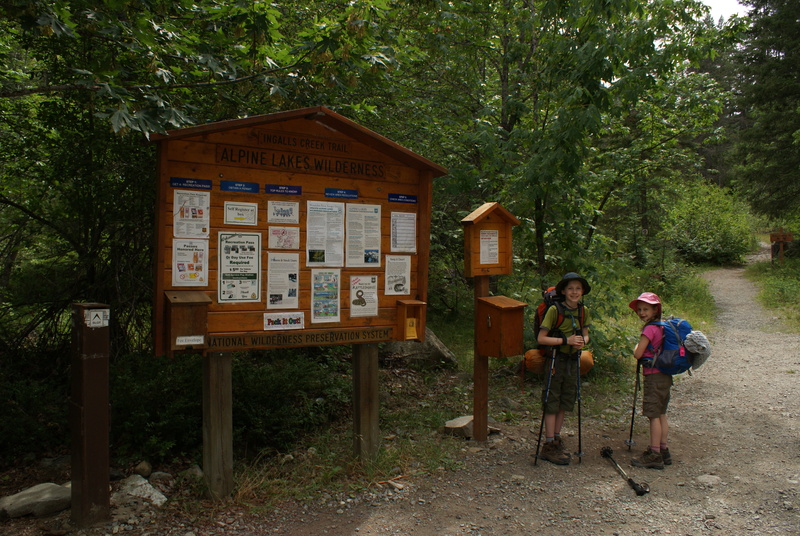 Our Ingalls Creek backpack trip was our first overnighter on the trail, and that made it a favorite for both kids. She liked our attempt at Longs Pass because the kids tried to build snow forts and she had fun galloping down the trail. She said that was a really pretty trail, too. She enjoyed hiking to Talapus and Olallie Lake in November; it was beautiful up there with the ice and snow, and yes, she loved hiking with the dogs. Finally, she liked our trip to Lord Hill Regional Park last Saturday, because we saw live horses, there was plenty of mud, and lots of room to run. 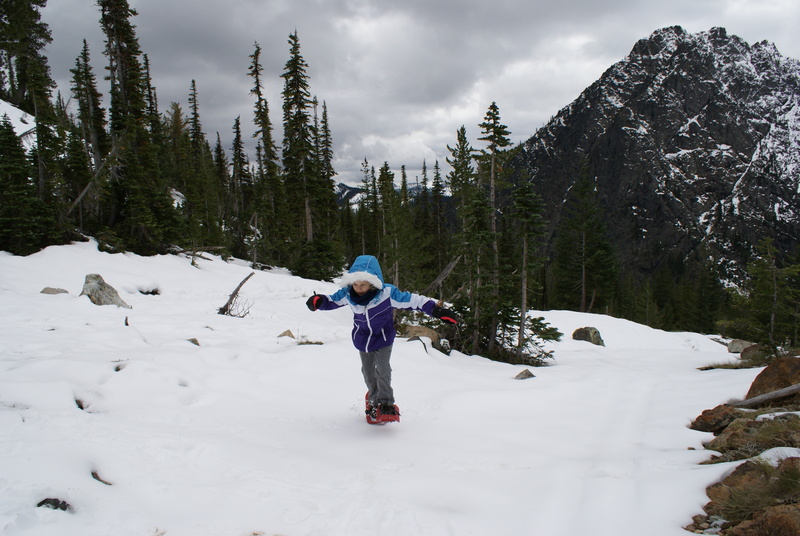 I asked the kids to pick their top 5 hikes, but Annika just couldn’t narrow her choices down. Gabe, however, gave me his top 5 off our list. 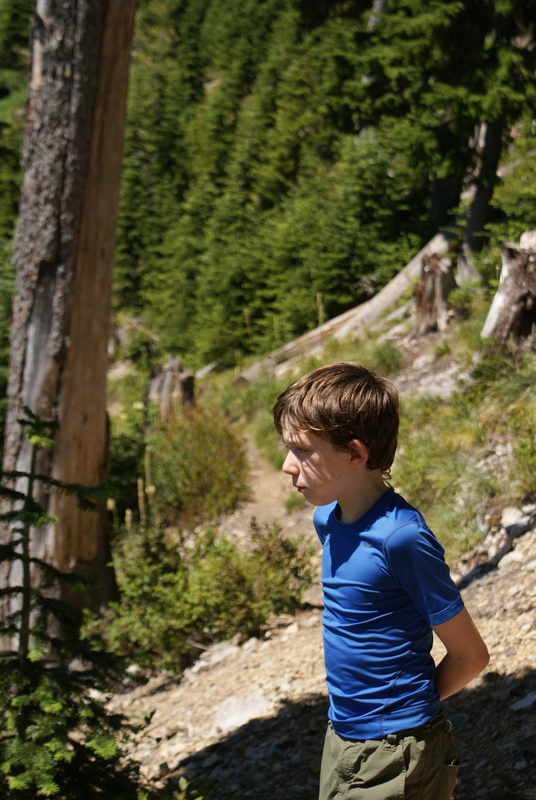 He loved our hike to Rattlesnake Ledges because of the awesome views. 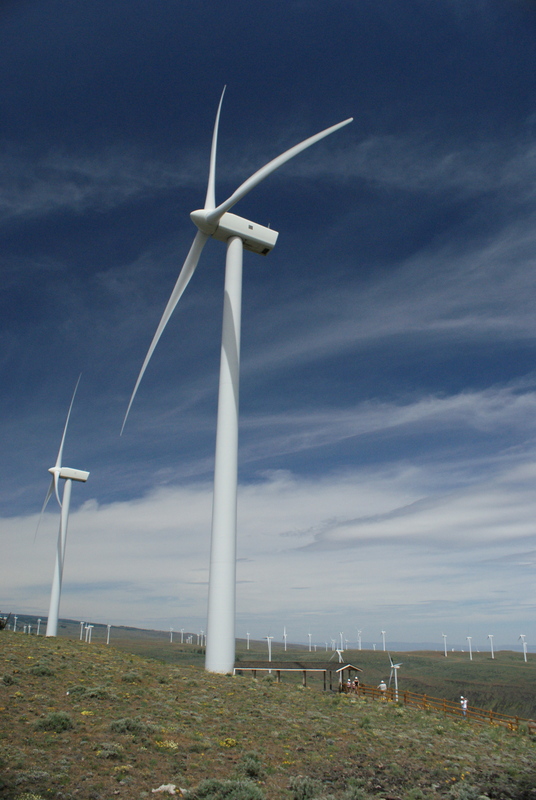 He thought our trip to Wild Horse Wind Farm was cool, because he really enjoyed being in the desert for a change, and the wind turbines were interesting. Our Ingalls Creek Backpack made the cut for one of his favorites, too – spending the night in the tent next to the trail was memorable. He thought Mirror Lake was very pretty, and he liked the views to the south of the lake. Finally, he loved all the flowers at Paradise when we explored there this summer. 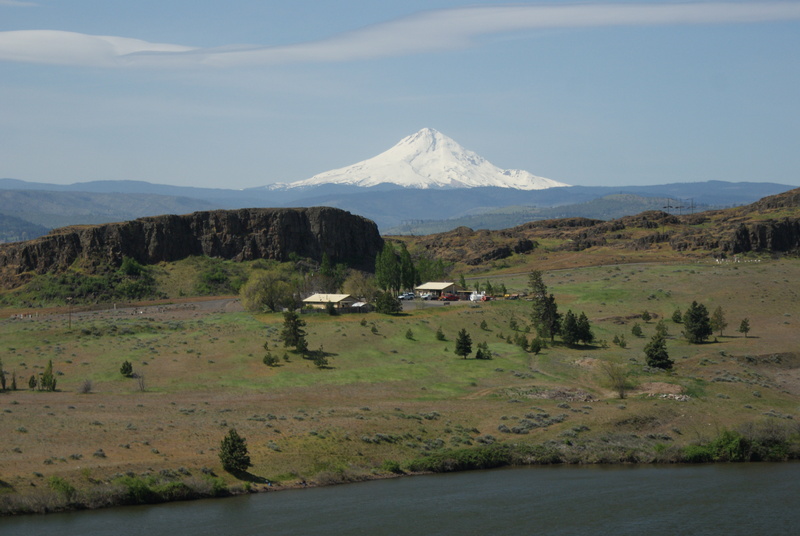 We all agreed, we had some great camping trips this summer, to the Metolius, Newhalem, Crater Lake, and Ohanapecosh (these were just some of our camping trips – I think this summer saw the most camping trips we’ve ever had!) Our raptor banding field trip was our most unique and educational outing. When I was tallying up our trips for the year, I couldn’t believe how often we had gotten out, and the variety of habitats and types of trails we explored. I think my favorite hikes for the year were some of the ones I did without the kids. 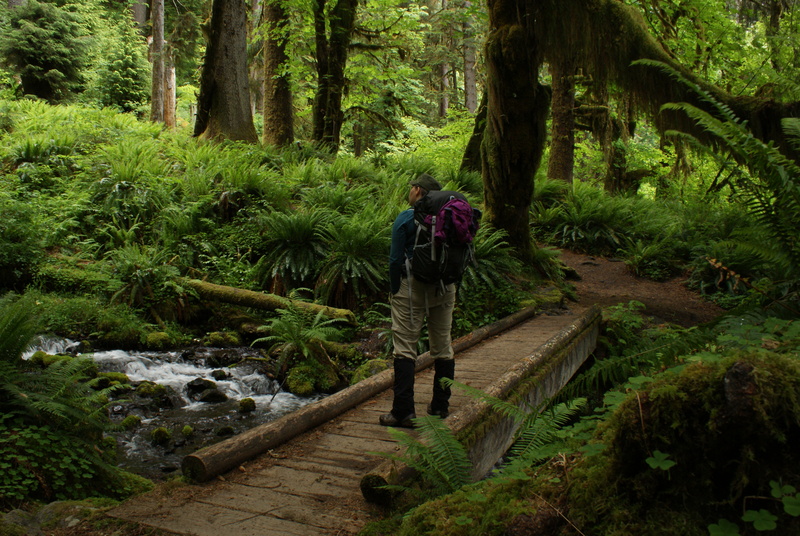 Hiking the Hoh River to the One Square Inch site was so interesting (stay tuned for a print article that will be coming out soon about that trip!). I thoroughly enjoyed my weekend in the Columbia River Gorge, hiking, botanizing, and just breathing. I’m pretty proud of our first backpacking trip, and our trip to the Rogue River and Crater Lake. Our failed attempt of Longs Pass felt like a bold stretch of our abilities. I think one of the things that makes me most satisfied is how comfortable the kids are outside, and how they yearn for the wilderness. We might not do the longest or hardest hikes, we do a lot of short and simple outings, but over the years of having fun in nature, we’ve cultivated a love of the outdoors and allowed ourselves to meet the needs of our spirits. 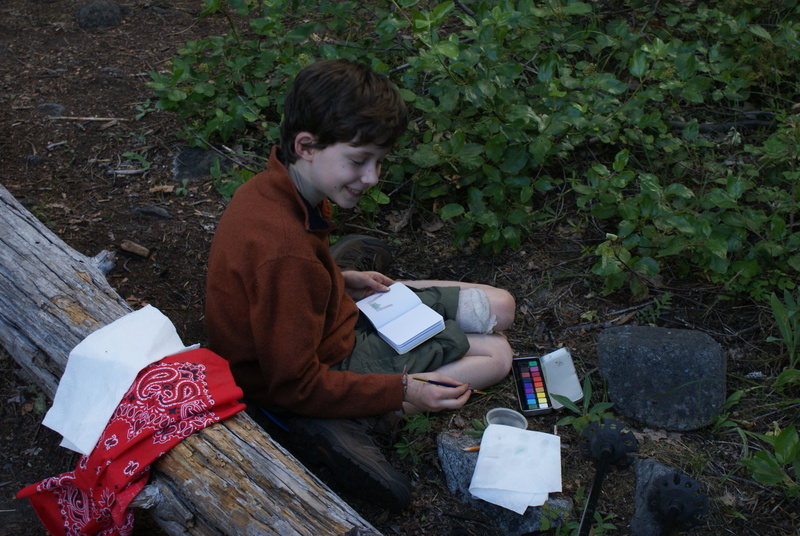 My kids are at enjoyable ages right now, and most of our hikes have more pleasant moments than annoying ones. As I was compiling this list, I realized there were many trips that never made it onto this blog. I will try to catch up on some of the hikes I missed, while staying current with what we are doing this year. 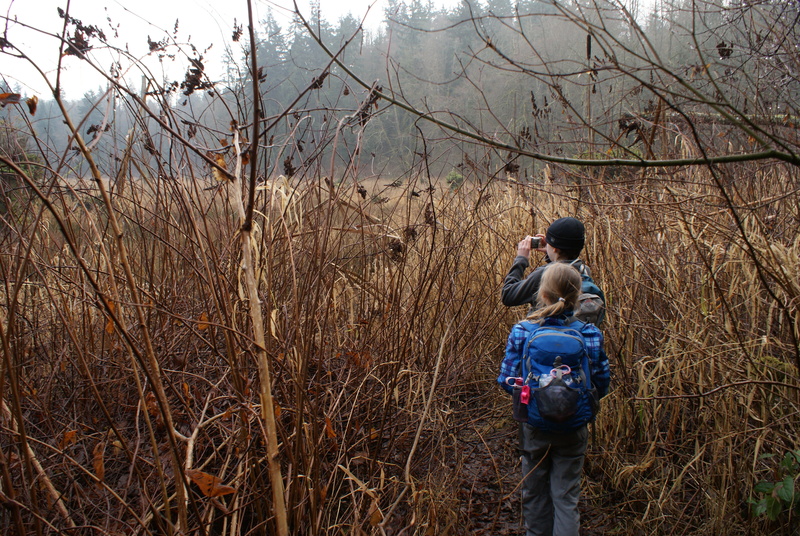 In the next few days I’ll post our hopes and dreams for 2014 for our nature wanderings. Let’s see where this New Year takes us! Sounds like an amazing year for sure!!!! You are a great mom, providing some wonderful opportunities for the kids. You are an inspiration to us all. Great Post J! Love the insights from the kid’s perspective! I’m jealous! I can’t wait til my kids are at the right age to enjoy hiking – for now I’m scared that I’d be left carrying them and die of exhaustion lol. Beautiful photos! Sam. Well, Sam, I did spend a lot of years carrying my children! The good news is, it forces you to get in shape! LOL! 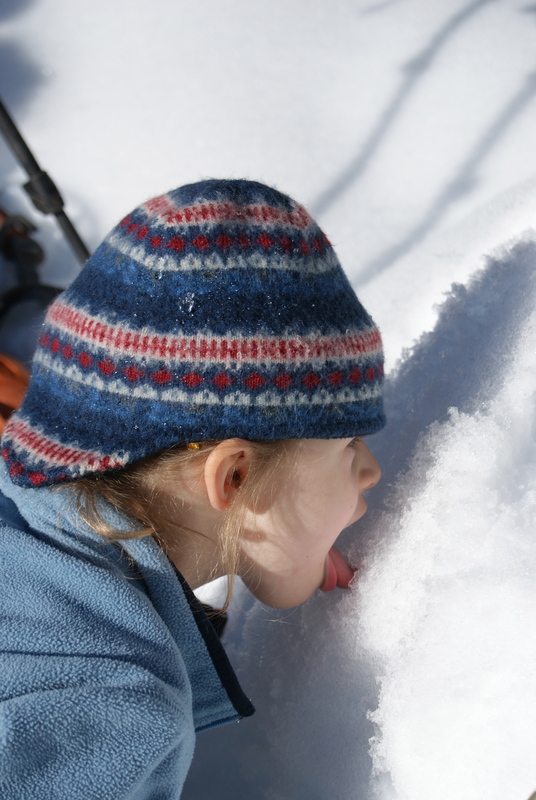 I always advise parents to start young with kids – that way hiking becomes a normal thing to do. Keep it simple and easy at first, and gradually increase length and difficulty as everyone is able. I highly recommend checking online to see if you have a local Hike It Baby chapter. 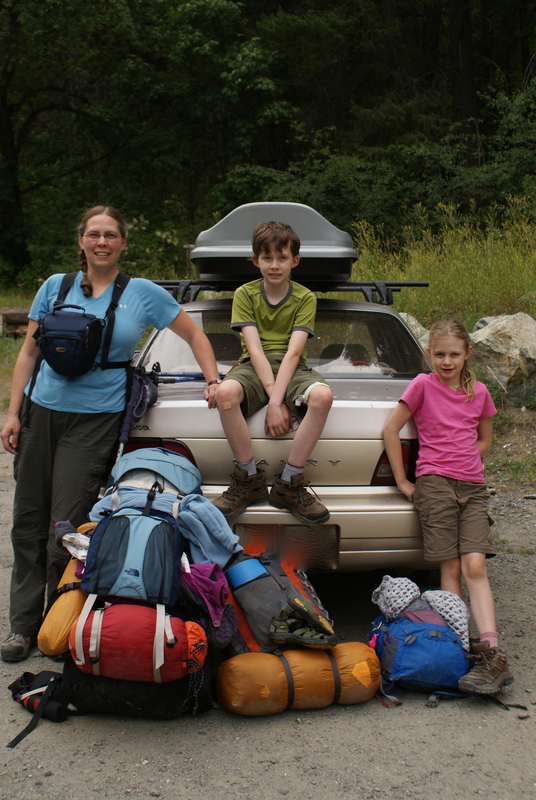 They provide a group of amazing parents to get outside with, on trails of all difficulties.